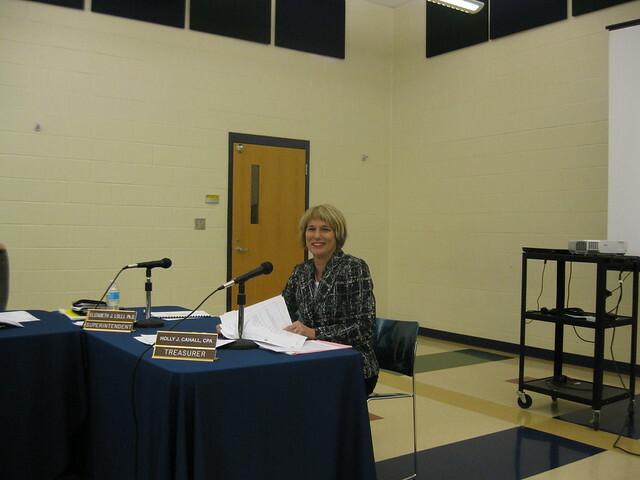 A Board Finance Subcommittee allows me as the Treasurer to have the opportunity to interact with two or more members of the Board at a more detailed level about the finances and financial issues of the District. Some of the issues are complex and it is easier to explain and have dialogue one on one rather than in a large group meeting. I think understanding school finance is like learning another language, and if you spend time focusing on it, over time it comes together. Monthly financial reports tell a story, and knowing what is behind the numbers helps one know the story. It will help them interpret District issues from a financial perspective. They will be in a better position to make decisions and recommendations, knowing what impact those decisions will have on the financial picture. The Board Finance Subcommittee will be in a position to hold me accountable. Over time, they will know better what I do as a Treasurer and why. They will know the right questions to ask, and be familiar with the rules and protocols. They will know if their expectations are valid, and whether or not they have been met. Finally, it is also a way for them to get answers to questions raised by others in the community. They are out and about and hear things from people. This allows them to get answers and also alerts me to concerns and helps me be a better communicator in addressing what others need to know.